Stuttgart city is Germany’s sixth largest city, lies at the centre of a number of small towns, each lending the city a bit of its character. Spread across vineyards and hills, the city is extremely unlike a German town and very picturesque at that. Just an hour from the Black Forest, Stuttgart is a major business and cultural centre in Germany. The city rises and falls throughout its landscape, resulting in a number of staircases strewn all over the place. The city is a pleasure to walk or drive through as tourists & business travellers get to enjoy their journey as well as the final destination. Stuttgart has a warm climate almost throughout the year. The hills and forests that surround the city, protect it from all the harsh weather conditions. The lows, in winter, come to around freezing point with the city witnessing snow on a few days. Summers go up to 230C, ensuring that things stay nice and warm. However, rains are frequent and Stuttgart is relatively wet almost all throughout the year. 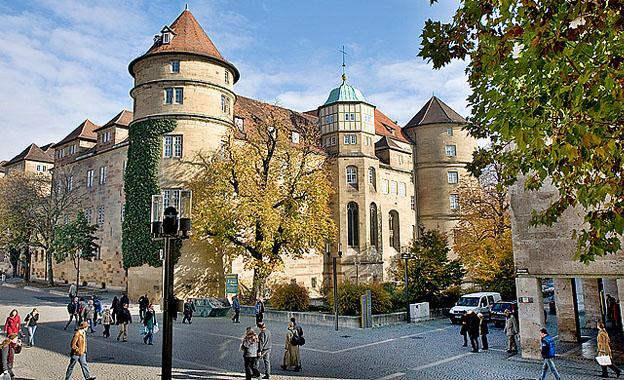 Stuttgart has a wonderful history and that gives the city a fantastic regal character. There are many medieval locations such as the Altes Schloss or Old Castle and the Abbey of St. Gall, the latter dating back to 700AD. 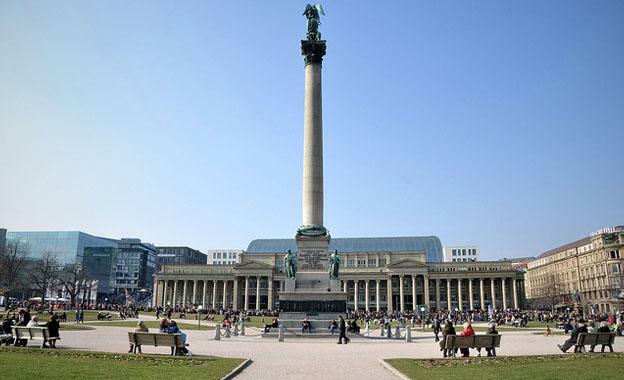 There are many other popular spots such as the Schlossplatz or the city centre, the Markthalle or Market Hall and the Neues Schloss or the New Castle. 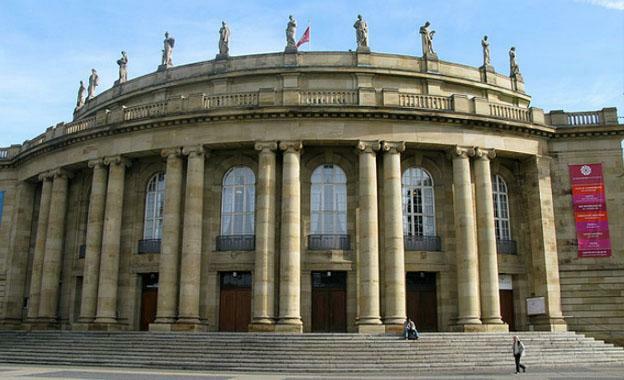 Stuttgart has a rich and vibrant cultural heritage that is prominently displayed through the Staatstheater or State Theatre, winner of the German “Opera of the Year” award (six times) and the German/Austrian/Swiss “Theatre of the Year” award. The Staatsgalerie (State Gallery) ably supports this performing arts’ theatre with a place for the visual arts. Swabian Cuisine, from Stuttgart, is the native way of cooking and is an important part of the city’s culture along with Beer and Wine. There are numerous festivals for food, music and the arts all through the year as Stuttgart welcomes the entire world to its doorstep. The Le Meridien Hotel, in Stuttgart, is in the centre of the hustle-bustle with its location right opposite Schlossgarten Park. Just five minutes from the city’s busiest shopping districts, the hotel also places guests in a unique position to drive down to nearby wineries as well as head out to Black Forest for some fantastic hiking opportunities. The hotel, in itself, does brilliantly to keep guests entertained within the Le Cassoulet, a French restaurant within the hotel’s premises. There are 13 conference rooms as well as full-service business centres for almost 800 people. Those interested in working out will have access to the hotel’s fitness centre, indoor swimming pool and sauna as well. Restaurants and shops surround the wonderfully located Maritim Hotel. Just 13 kilometres from the airport, the hotel is minutes away from all forms of public transport and walking distance from the business centres of Stuttgart. The hotel is built into a build established in 1885, and has 14 floors with over 550 guest rooms and all modern amenities. 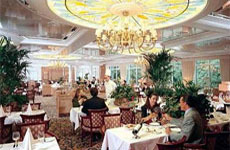 There is an onsite café as well as a rotisserie for evening meals. 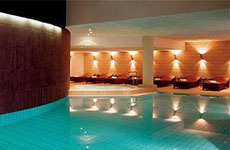 The spa and massage centre, along with the swimming pool & poolside bar are just the perfect way to relax on a business or pleasure trip to the city of Stuttgart.